•	Masters in Administrative Management (M.A.M. ), Narsee Monjee Institute of Management Studies, University of Mumbai. •	B.E. (Mechanical), Sardar Patel College of Engineering, University of Mumbai. •	Middle Management Program at IIM Ahmedabad. •	Over 8 Years of experience in teaching subjects like Service Operations Management, Business Process Reengineering & Benchmarking etc. for full-time MBA programs MMS, PGDM,e-Biz at B-Schools affiliated to Mumbai University/AICTE. •	Over 32 years of industry exposure covering shop-floor manufacturing, plant engineering, materials management, supply chain management and high value/high volume and project procurement in diverse industries- heavy engineering (Godrej & Boyce Mfg. Co. Ltd, Machine Tool Division), media and entertainment (Bennett, Coleman & Co. Ltd./The Times of India Group) and, retail (Reliance Retail Ltd.). •	Part of the corporate/senior management team at The Times of India Group and Reliance Retail Ltd.
•	Appointed as board director of a group company of Bennett, Coleman & Co. Ltd.
•	Selected for and underwent ‘Train-the-trainer’ module for supervisory development program at Godrej & Boyce Mfg. Co. Ltd. Conducted several in-house programs on soft skills, TQM, 5S and other topics at the company’s training center at Lonavla. Conducted Quality Circles training for workmen in the plant. •	Conducted training sessions in purchasing, materials management and related topics for purchasing and SCM team (Business & Commercial Department) at The Times of India Group. •	Conducted consulting assignments- job analysis and compensation structure of managers and staff for a large vendor of Godrej & Boyce Mfg Co. Ltd., design and conducted training of managers of a very large diversified group in mentoring. •	Training sessions for participants of MDC clients- Business Management Certificate Course (JCOs/Other Ranks of Indian Army/Navy/Air Force, Material Organization- Indian Navy etc.). 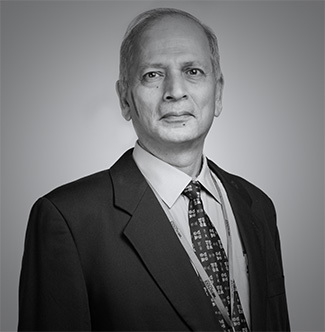 •	Chartered Engineer C.Engg MIE (Member Institution of Engineers, India). Teaching Interest: Operations and Supply Chain Management, General Management.